Jan 14, 2019 @ 16:46 Jan 21, 2019 @ 11:44 Diane Shalem 2457 Views Donald Trump, Iran, Mike Pompeo Mid East, US pullout from Syria. DEBKAfile’s military sources report that the “existing nearby base” was a reference to the K-1 Kaiwan Air Base which the Americans have begun building in the northern Iraqi oil town of Kirkuk. From there, air strikes can be mounted over the northern and central sections of the Iraqi-Syrian border. In addition, US National Security Adviser John Bolton, when he visited Israel earlier this month, mentioned two more US bases in Iraq from which, if called for, air strikes could be launched into Syria. They are the Tallil Air Base in the south near Nasiriya and the Ayn al-Asad airbase in the western province of Anbar. 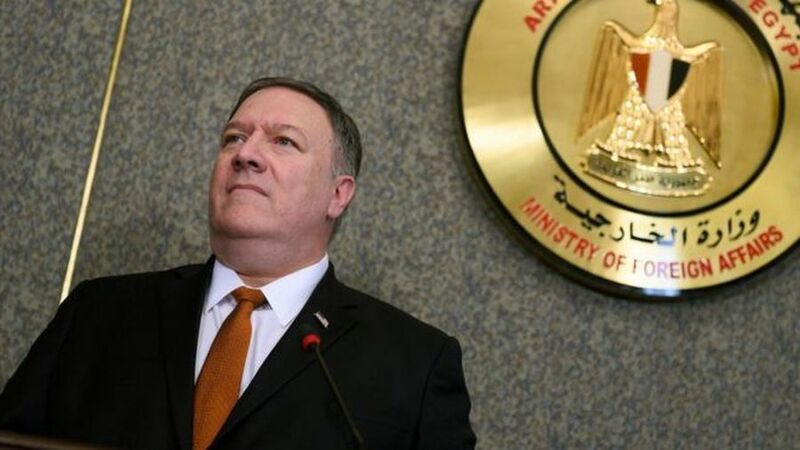 Pompeo’s assurance that the three air bases supported the American undertaking to preserve a US air presence over Syrian skies did not convince the Arab rulers. They countered that, only two weeks ago, Baghdad won carte blanche from Syrian President Bashar Assad to send the Iraqi air force against ISIS targets in Syria without asking for permission. They noted that at any moment, Baghdad could decide to respect Syrian or Iranian demands to ban the use of American bases on its soil for hitting targets in Syria – or even demand their evacuation. Premises are: The time for talking is over, now we need action. But we know that: action needs people and weapons, these people and weapons cost an awful amount of money and all big money are in Riyadh bank accounts. It follow that: the Arabic expression “time for talking is over” is equivalent to “time for big money bank accounts is over” in plain English. Arabs have money due to oil but they can’t fight and not worth a shi’ite. Not true. Islam has proven that taking a life costs almost nothing. For 1,300+ years. PS. If there are 57 Islamic nations, but only 1 Jewish nation, who us the occupying power? Talking won’t accomplish much since Mr. Trump’s policy is unpredictable. Trump will hit Iran hard but only if Iranians make a stupid move. So it’s up to the Arabs and Jews to challenge Iran or make peace with the Mullahs. Boy, now the jews are REALLY gonna hate the Donald. ALL of secular Israel will be destroyed. Tel Aviv and Haifa will be nuked. All messianic jews will survive this Ez. 38-39 war, but no seculars will. Perhaps some others who the Lord Jesus knows will turn to Him at the end. Built that temple for your antichrist! Hurry up, already. Yep, you can’t have “gay pride” parades in Jerusalem and survive. Not one chance. Trump, just leave! Let the Arabs and the Jews deal with the Iranians and Shiites. Otherwise, they will drag the U.S. into W.W. III. The deal of the century Trump is going drop you all. Trump has no policies just like a ship without a rudder. The only allegiance he has is to himself and will screw anyone by design or by ignorance. Time for Trump, Rouhani & Kim Jong Un to have some tea and biscuits at the whitehouse.